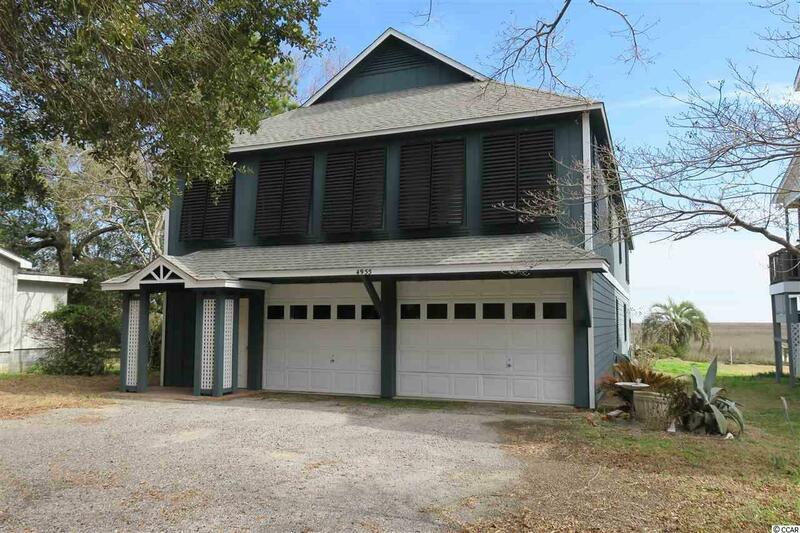 Great Creek front home with panoramic views of the Murrells Inlet Marsh front and jetties leading to the beautiful Atlantic Ocean. 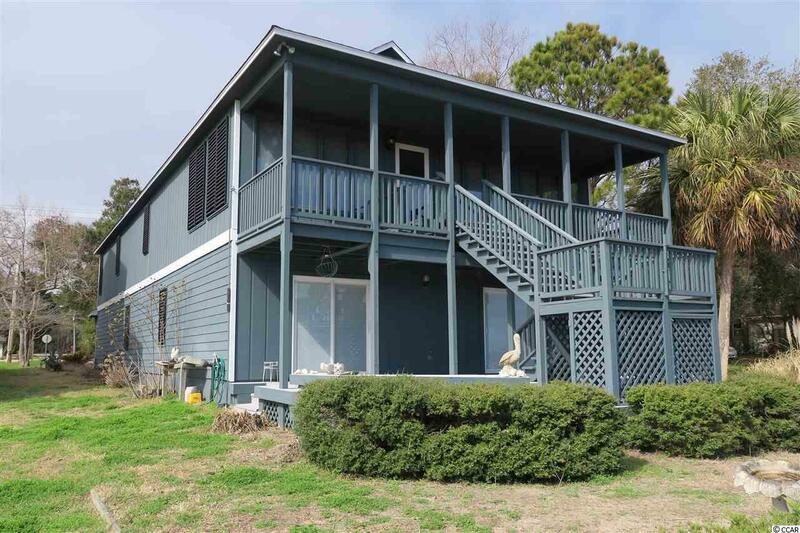 You'll enjoy your morning cup of coffee on the front deck watching the sun rise and your evening beverage of choice sitting on the dock watching the tide roll in. Stationary and floating dock for your creek boat enjoyment. Endless summer breezes await you from your unobstructed views across the Marsh to the Atlantic with the sound of the waves delivered directly to your balcony. Spacious living room with vaulted ceiling and gas fireplace. True hardwood floors throughout main living area and bedrooms. 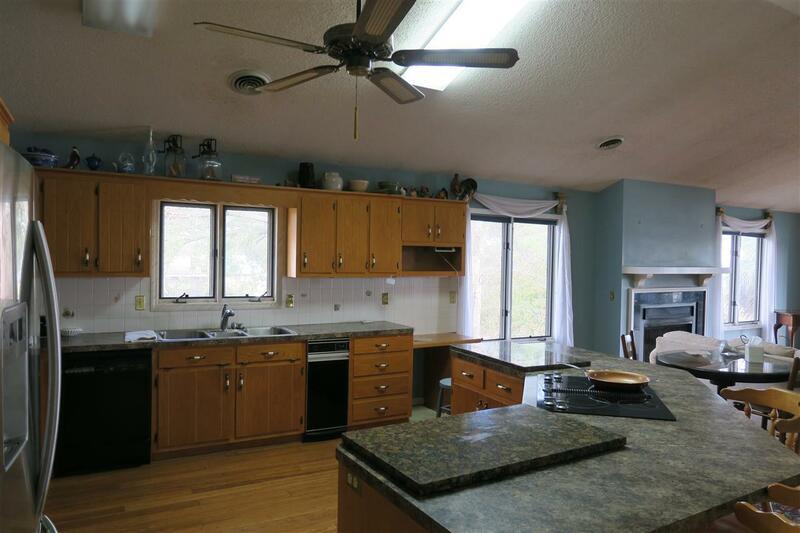 The kitchen has a down draft stove top situated on an island overlooking the living area and the marsh view. Endless hot water awaits you with a gas, tank-less water heater. This home boast endless possibilities starting with additional living space. The whole ground level is walled in, wired and insulated. This could easily be heated and cooled adding additional bedrooms or converted into an Apartment / Mother in law suite. An extra bedroom could be added to the main living area with the addition of a ten foot wall. Outside was recently painted with three coats of paint along with replacement of front steps and decking boards. Stationary and floating docks have been replaced since hurricane Matthew. The owners built this home to last with four foot deep outside footers encapsulating the 6x6 pillars, re-enforced with re-bar. The home is as solid as you'll find with absolutely no sway as you'll find in some raised beach homes. Three well established Creek Front Restaurants just a short stroll down the street. The picturesque Murrells Inlet, Pawleys Island bike path runs directly behind the home. 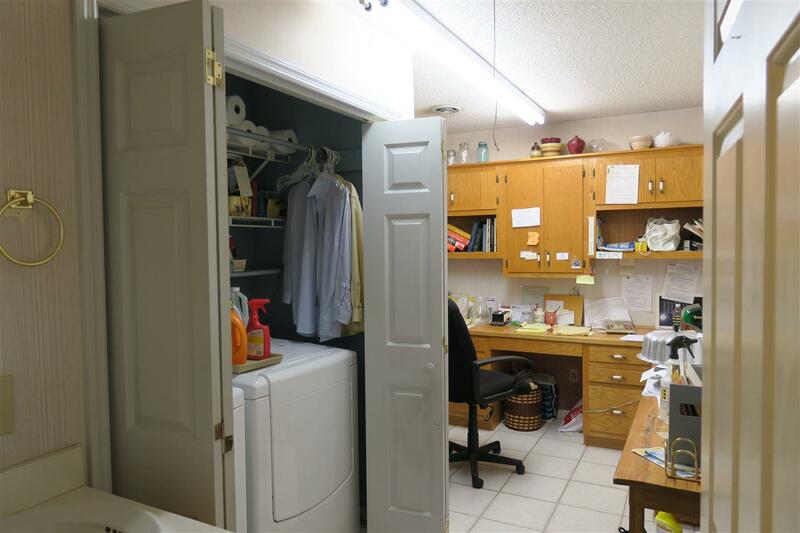 Please put this home on top of your search list and ask your agent or call me today for a personal showing. Owner will consider a lease purchase / owner financing scenario. Listing provided courtesy of Graycrest Realty Inc.. Listing information © 2019 Coastal Carolinas Association of REALTORS® MLS. Listing provided courtesy of Graycrest Realty Inc..